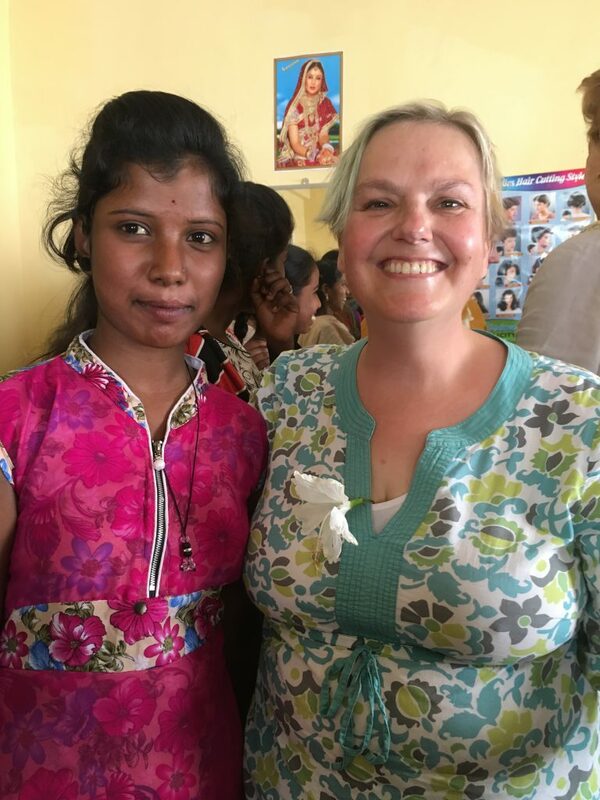 I was in India recently, and whilst there I was excrutiatingly aware of my white privilege. Everywhere my white friends and I went we were warmly welcomed and treated as honoured guests. Indians around us in bustling streets, markets, shops, temples, gardens, and palaces smiled and stared as we passed. Many stopped us and asked for selfies with us. They were kind, friendly, very obviously fascinated by us and pleased to see us. Many spoke excellent English, or at least enough for basic communication with us. By contrast, we couldn’t speak a word of Kannada, the main language in the state of Karnataka where we were situated. I dearly wish that I could read of experiences like that for similarly anonymous Asian visitors to the UK who are not recognisable celebrities, or indeed for any person of colour here. But instead, many centuries of white supremacy has created both overt and unconscious racism. White people who don’t consider themselves racist (very few do!) do not in general go out of their way to make people of colour feel safe and valued here. Non-white visitors to the UK are much more likely to be met with at best indifference, and at worst, overt hatred, with the commonly lauded ‘tolerance’ somewhere in between. Though there are ‘woke’ anti-racist white Brits who consciously welcome people of colour as friends, and my social bubble contains many such white Brits, I am aware with deep sadness that those white Brits are not the norm. Why am I writing about this now? You may be aware that over the last few days there has been a major discussion going on in the worldwide handknitting community about how white supremacy, white privilege and racism manifest in the knitting community. The discussion was prompted by a post from a popular knitting celebrity, in which her writing othered India and Indians. To see how it did this (and if you’re white you’ll most probably need to have it spelled out for you, just like I did) see this Instagram story by Sukrita. It is deeply uncomfortable for me to write this post about my white privilege. I am very scared of being called out for manifesting unconscious racism or bias. My fear is most acute when I see intense anger expressed by people of colour in response to white people manifesting implicit bias, as in response to the linked post that prompted the current discussion. My ego feels threatened, and in self-defence I instintively want to either silence the anger, make it wrong, or avoid it. That wish for egoic self-preservation is a problem. Reflecting on this I am grateful to Nelson Mandela, who admitted that even he was conditioned with an apartheid mindset. Accepting that I have unconscious bias is the first step to working to correct it. Then, instead of being scared that it will be seen, I can be grateful for being directed to the work I need to do. Thankfully, my programmed reactions are not who I am. I can instead respond from my heart, which wants to be at one with everyone. That’s the internal work. There is also practical work to do in our knitting community. Here, thanks to the kindness of my life experience, I have a head start on many other white people. From a young age I have been surrounded by anti-racists, including my parents and my many non-white friends. At my infant and primary school the vast majority of my fellow pupils were from immigrant families who had come from South Asia or the West Indies. At church (my parents were devout Catholics) many of the congregation were West Indian immigrants. Until the age of 13 most of my closest friends were the children of immigrants from South Asia and the West Indies. I cherish the lessons of these relationships, through which I developed powerful loyalties. So, when I developed a pattern publishing business that centres around my Yorkshire identity, in order for it to be authentic to my experience I actively sought to include people of colour as well as white people in my publications. I had also noticed how white the knitting world looked, and I wanted to do something about that. Additionally, I have consciously searched for people of colour in the knitting industry to connect with in online social spaces. Can I do more? Of course I can, and I will. In particular, I plan to do more to amplify the voices of people of colour in the industry. For things to improve we all need to address our internal biases and work to make white privilege a thing of the past. Sadly that won’t happen in our lifetimes, and likely not even for hundreds of years to come. White people have done very little to even start working on it, and yet it is imperative that we do work on it because the divisions in our human family created by white supremacy are deeply harmful for all of us. Dismantling it is win-win. If you are white you can start by noticing how white your spaces are and work on changing that. For white knitters this involves following and purchasing from designers and dyers who are people of colour, following people of colour that are influencers in the knitting world, and warmly welcoming people of colour in knitting groups. Even in the context of the diverse town of Huddersfield, it is rare to see people of colour in our local knitting groups. I need to discuss that with my knitting friends here and work out what we can do about it. If you are white it will almost certainly be uncomfortable reading the words of some of these kind ladies. Be brave and embrace that discomfort. Forgive yourself for whatever unkind thoughts spring from it. Commit to working on yourself. Start with working up as much gratitude as you can for the emotional work they have engaged in to your benefit, including their anger. Remember that learning always involves being wrong. ← A Year Of Finishing?